William Boyd is the latest in a long line of writers to have accepted the challenge of writing a James Bond novel. It’s a pretty tough challenge to take on, even though Ian Fleming wasn’t actually the greatest of novelists. Jeffrey Deaver essentially rebooted 007 by bringing him into today’s world, Sebastian Faulks produced an oddly flat pastiche of Fleming’s writing and both John Gardner and Raymond Benson settled for a string of workman-like thrillers that kept Bond fans more or less happy but were never going to be publishing events. Boyd is, like Deaver, a self-confessed Fleming aficionado but, I believe, has hit on the best way to add to the Fleming canon. He has eschewed the opportunity to differentiate his Bond by moving him out of time or place and instead places him in 1969, just five years after the last Fleming novel. However, by refusing to copy Fleming’s stylistic quirks, he has avoided the pitfalls of homage or pastiche and has, unsurprisingly given his talent, produced an excellent addition to the series. It’s more a William Boyd James Bond novel than a James Bond novel written by William Boyd as Ian Fleming. As the book opens, Bond is sitting down to dinner at the Dorchester, a solo celebration of his 45th birthday, during which he consumes a bottle of Taitinger Rosé and a bottle of Château Batailley 1959 and flirts with an attractive divorcée named Bryce Fitzjohn (Boyd is good on Flemingesque names). The next day he takes a Jenson Interceptor sports car for a spin and engages in a spot of mild voyeurism. 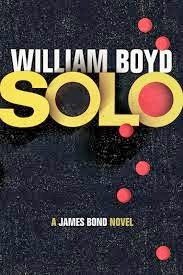 So far, so Bond, although there is a subtly melancholic tone to the scene that persists through the book – Boyd’s Bond is more reflective than Fleming’s 007. The action soon starts to pick up as M sends him off to Zanzarim, a fictional African country, rich in oil reserves and the scene of a vicious civil war – there are echoes of the Biafran War here. Bond’s instructions are simple; he must prevent the rebels (supported by France) from succeeding (Britain and the US are backing the incumbent government). Having liaised in every sense of the word with MI6’s woman on the ground, the splendidly named Blessing Ogilvy-Grant, he starts out for the rebel capital, armed only with a pack of toiletries, made for him by Q branch. And from there, the plot only gets thicker, filled with action, betrayals, a healthy martini count and a classic Fleming villain, the facially disfigured mercenary, Kobus Breed. Boyd was born in Africa and has set several of his books there, which shows in the vivid description and atmosphere of Zanzarim. He also stays faithful to the factual background of the Bond mythos and, pleasingly, adopts the relatively gadget-free world of the novels rather than that of the films. Where Boyd differs from Fleming is in the character of Bond. The Bond of Solo is a decent man, a veteran of D-Day who is troubled by dreams from his past and has a distinctly introspective air. Although there is still something of the womaniser in him, he lacks the misogyny and cruelty of Fleming’s Bond and even seems interested in the redecoration of his flat. Fleming was prone to enter into lengthy descriptions of Bond’s food and drink consumption and Boyd is happy to follow suit, playing a little fast and loose with the iconic Bond martini and giving his Bond a seemingly inexhaustible appetite for scrambled eggs as well as a serious cigarette habit. Towards the end of Solo, there is maybe a little too much reliance on exposition to tie up the loose ends of a fairly convoluted plot and Felix Leiter’s appearance feels somewhat forced and unnecessary but these are minor quibbles when set against the overall quality of the book. A few critics have challenged whether Bond would ever really go rogue on a personal revenge mission but there is some precedent for this in the canon (the generally poor Licence to Kill) and it doesn’t feel out of character here. Boyd has taken on 007 and come out pretty much on top. It is, without doubt, one of the best post-Fleming offerings and an excellent addition to the canon. I don’t suppose it will convert non-Bond fans but it certainly kept this fan-boy happy.